On Tuesday this week, in Lower Shaw Farm’s ex-calf-shed Centre, Festival helpers Barbara, Maria, Nuria, Kate, Steve, Kauser, and Johanne, with Jess making pizza for all of us, stuffed programmes into envelopes. Yesterday, in two wheelbarrows, Maria and I wheeled them the 242 yards down to Shaw Village post office, where I stood in a queue with mothers and little ones in pushchairs. 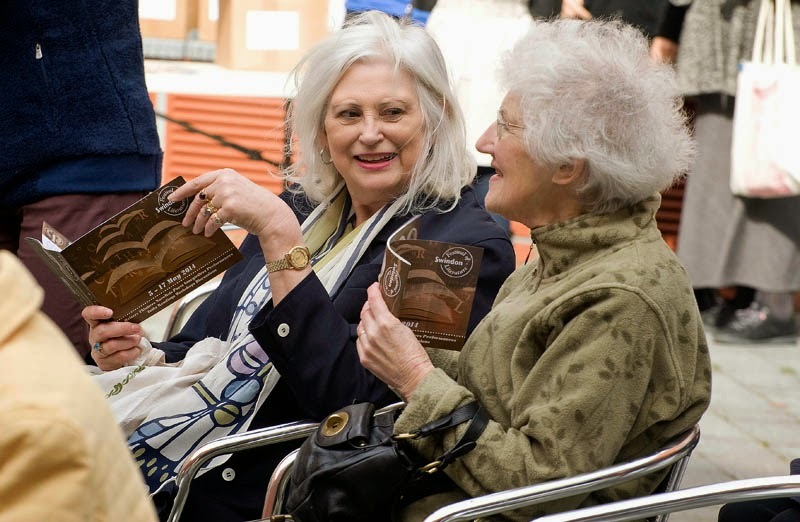 The LitFest programmes felt like our babies. The post van-driving woman laughed, at the wheelbarrows only, I hope, and said, ‘I ain’t never seen anything like this? Are they all stamped? 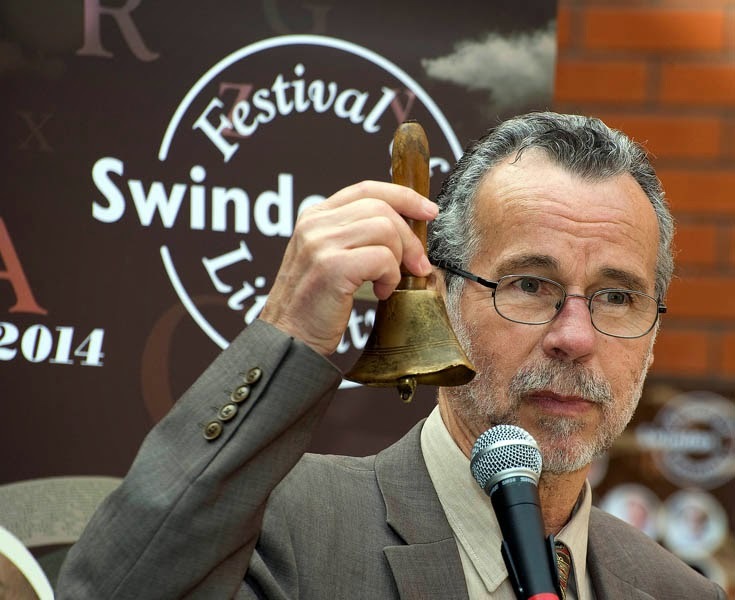 You know you could have got them franked?’ I replied, ‘We like working together, with our hands, sending out nice things to nice people. Also, we like wheelbarrows, bicycles, and things that roll and go round, and make you feel you are rolling with them, happily, rather than being steam-rollered by something bigger than yourself, unhappily.’ She smiled, slightly shook her head, and gave a look of puzzled approval. 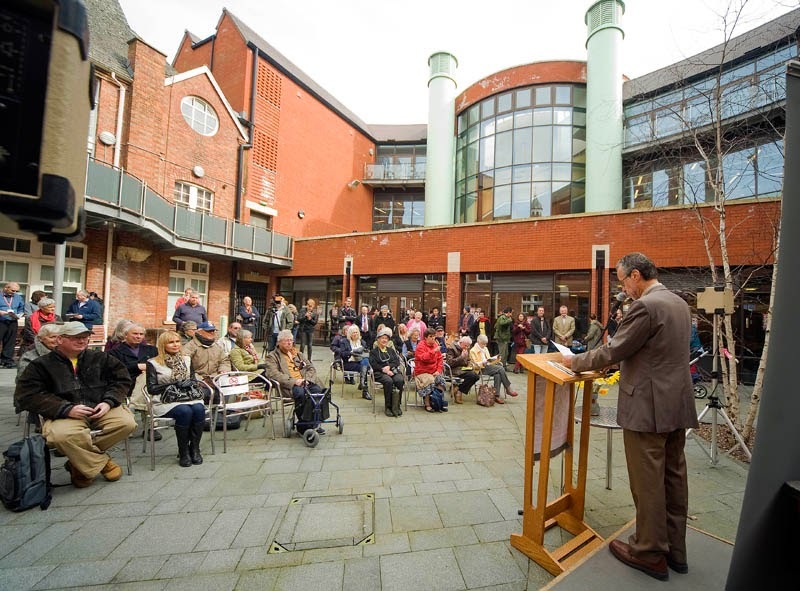 Today, in the outdoor windy courtyard of Swindon’s prize-winning Central Library and before a crowd of scores of loyal, hardy, and fabulous Festival followers, we launched them onto the world. 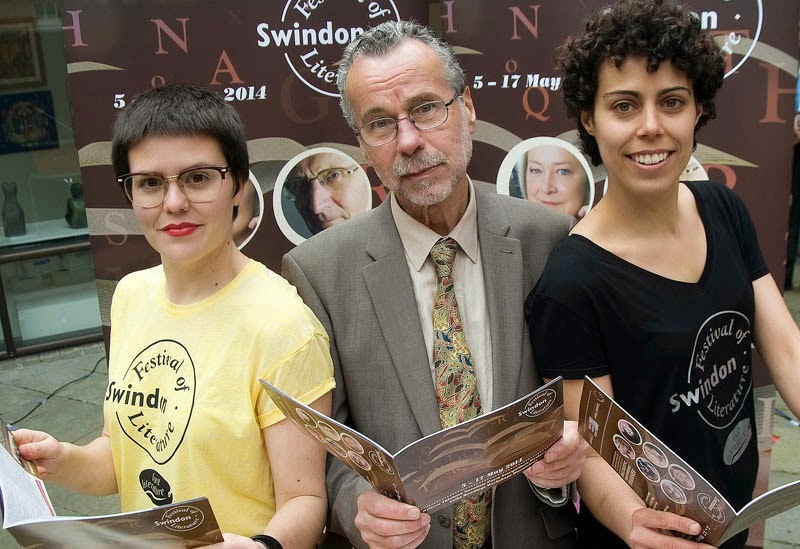 Surprise guest at the launch, and who said nice words and poems, was Director of the Cheltenham Festival of Poetry Anna Saunders. 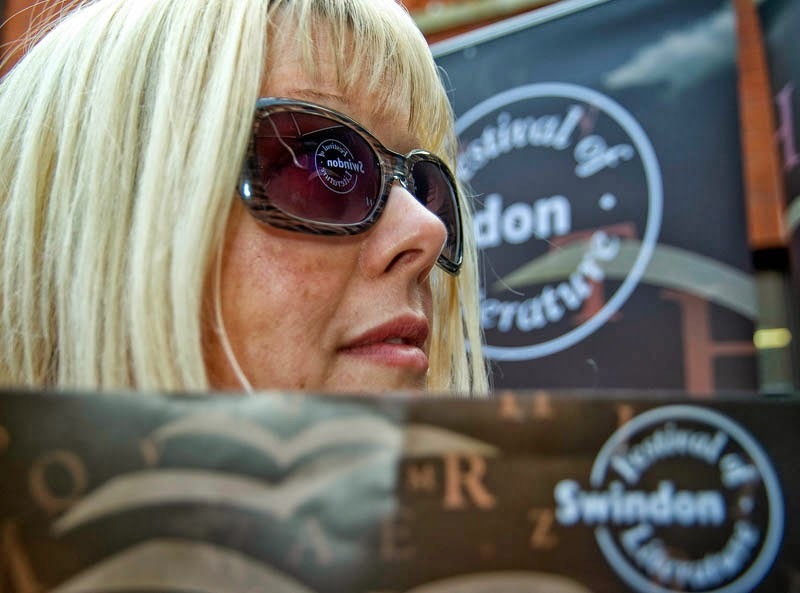 Thanks to the ingenuity of our clever photographer, Richard Wintle, she now has the Swindon Festival of Literature in her eyes. It’s been a great day. Looking forward to May! Now it’s dark, and the day’s ending. Better go shut up the hens, put wood on the fire, and eat fish. PS. And this is what some outlets of local media made of the launch.